The explore screen is the first page you see when you log in. It is also accessed by clicking on the Duckwyn icon from any other page. Points of interest are marked on the map with an pointer icon. Each point of interest has it's own stamp to collect. Track your total points. 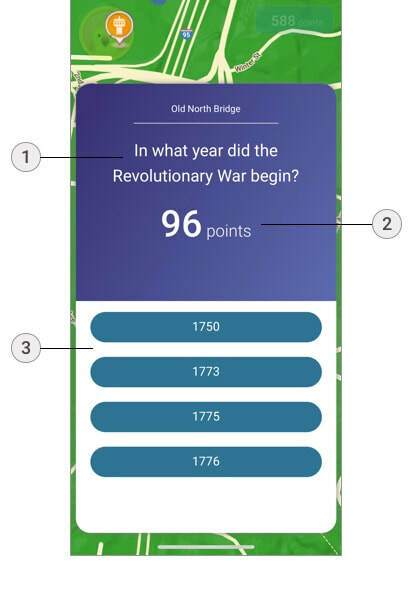 Points are given based on how quickly you correctly answer trivia questions at each point of interest. The Duckwyn logo will show you your current experience level. It also has buttons to change your settings and logout. 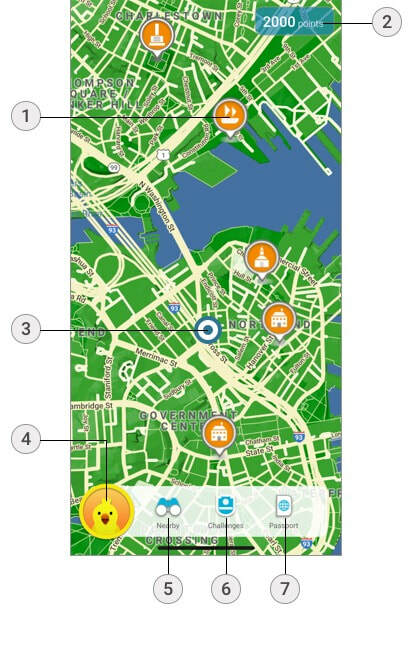 A list of the nearby points of interest ordered by the locations that are closest to you. 'Challenges' shows you the special badges you can win when you complete a new task. 'Passport' will take you to your passport book. Here you can view all the stamps and coins you've collected. Click on a point of interest icon to display more information about that location. Name of the point of interest. Tap to close the window. Information about the site you're visiting. 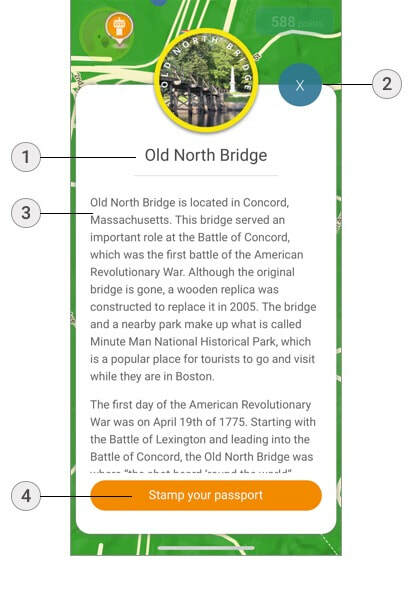 Make sure you read all the text as there are trivia questions you can answer to earn a special coin. Click the "stamp your passport" text to receive your stamp (note: you need to be at the location for the stamp button to appear). The stamp will then be added to your passport book. After you get your stamp, the button will change so you can answer trivia questions. 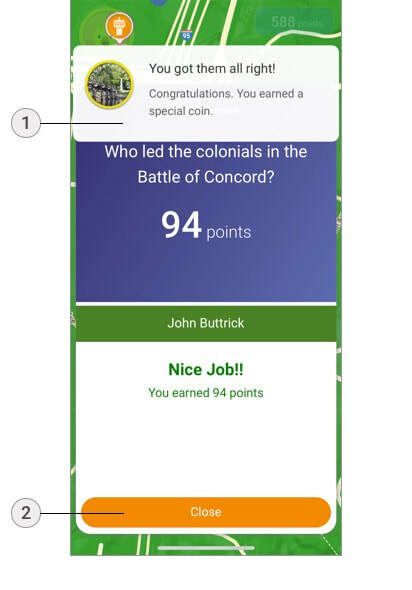 Click the "trivia time" button to get started. Click on the "trivia time" button to start answering the trivia questions about the point of interest your at. This button appears after you click on the "stamp you passport" button. 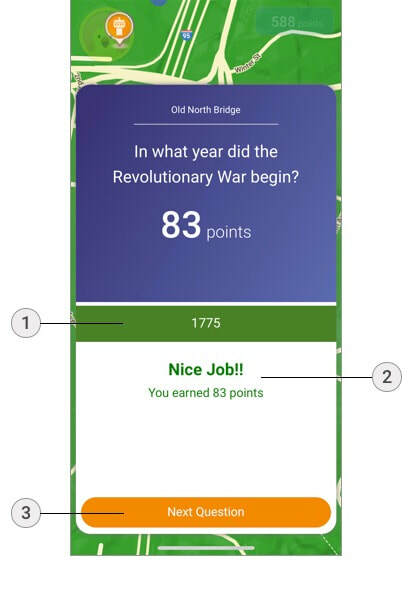 Points countdown: the faster you answer the question correctly, the more points you earn. Trivia answers: tap the answer to the question and find out if you got it right. See the answer you tapped on. It will display green if you got it right. If you got it wrong it will be red and the correct answer will be displayed. If you got the question right, you will see how many points you earned. If there is another question, this button will take you there. If you get all the question right you will earn a special coin. These coins are unique to each point of interest. If you get at least one of the questions wrong. You will receive a silver version of the coin. When you're done, tap the close button to return to the point of interest window. 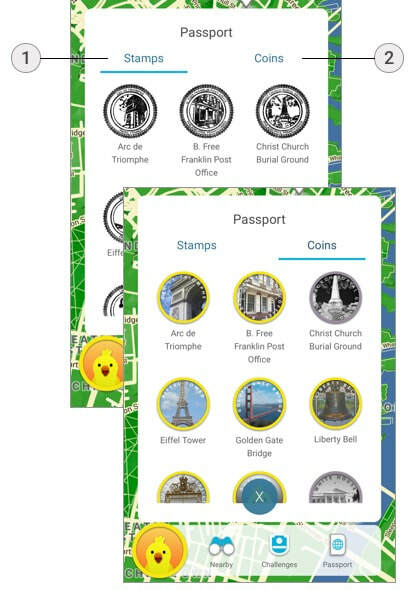 Click on your stamps and coins for a closer view of each. 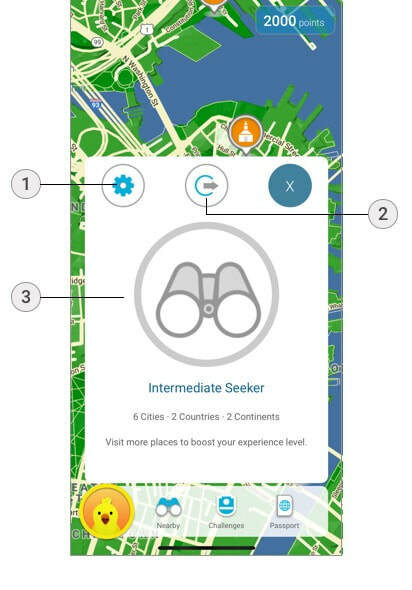 Check your experience level: your experience level changes based on the number of points of interest you go to and how many states and countries you've visited.